"I am a fay, and unfortunate, in spite of my power, for having always resisted amour. I refused to marry the genius Perforimoth the Black!" 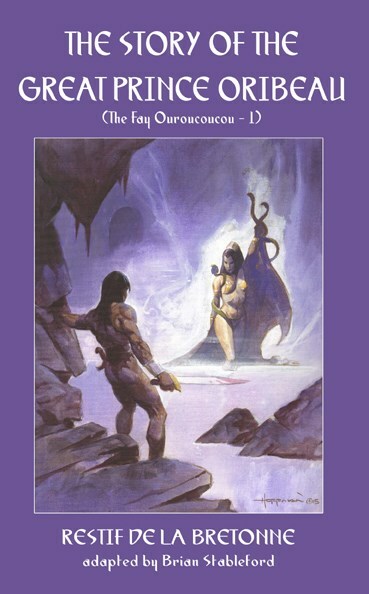 In addition to narrating the educational journeys of Prince Oribeau and his mentor O’Barbo, the book features three separate fairy tales, “Mellusine”, “Sireneh” and “The Fay Ouroucoucou,” connecting the genealogy of the fay to the imaginary history of the story, and the known history of the world, in a fashion that is as ambitious as it ultimately becomes ambiguous. The book also provides a detailed account of the metaphysics of Faerie, explaining its location and its contiguity with the perceived world. “Mellusine” and “Sireneh” are transfigurations of well-known legends, while “The Fay Ouroucoucou” is an allegorical apologue similar to the dream stories of Louis-Sébastien Mercier.